When did the church turn from a symbol of hope and unity to a symbol of power and division? 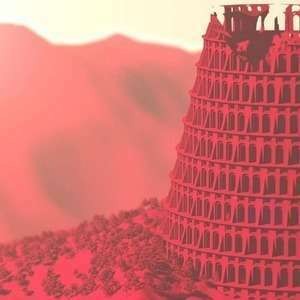 Swedenborg points to hidden meaning behind the Tower of Babel story in the Book of Genesis. In this episode, host Curtis Childs and featured guests explore what eighteenth-century Christian mystic and philosopher Emanuel Swedenborg had to say about religion and the church and the beginning of its controlling agenda. Join in as they reveal how Swedenborg came to the conclusion that any reference to Babel or Babylon in the Bible is a secret correspondence to worship based on self-love. Curtis Childs is the digital media producer at the Swedenborg Foundation, a nonprofit organization whose goal is to spread eighteenth-century philosopher Emanuel Swedenborg’s timeless message of hope to all. While obtaining his degree in communication studies from Oakland University, Curtis experienced an internal battle with depression that led him to question God, existence, and his lifelong interest in Swedenborgian theology. After a period of intense suffering, he recovered from his depression with the help of modern medicine, therapy, and a return to the spiritually uplifting messages he found in Swedenborg’s writings. Now, Curtis is applying his education and desire to help others find peace through Swedenborg’s insights by producing and hosting a weekly webcast called Swedenborg and Life on the offTheLeftEye YouTube channel. Each week, Curtis and his behind-the-scenes team pour their talents and passions into creating for a worldwide audience a new episode that focuses on spiritual and societal topics such as the afterlife, angels and spirits, near-death experiences, faith, and more.